I want to introduce my Cousin David. David, his brother and mon/dad lived next door to my family till we were all grown. It was great having 2 extra brothers, even though they teased my sister and me to death. Wonderful memories growing up next door to your cousins. Davis is a pastor and a singer/songwriter. He is doing some great things preaching in his new church and sharing his love for music. He has some beautiful lyrics about his family and the rest of us. I thought I should do a shameless plug for him and share what he is doing. He performs all over the state of Ohio and usually records his music in Tennessee. He was written songs that have been sung by Alabama, Charlie Pride, Barbara Fairchild and a few more. 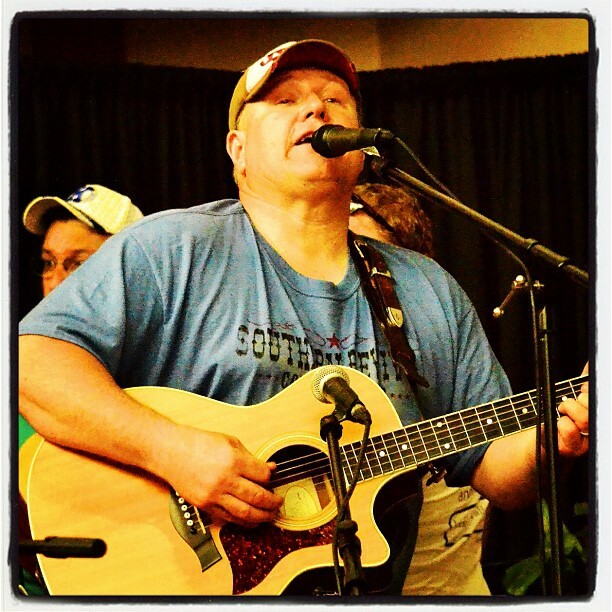 David has shared a stage with some of the greats such as Ricky Skaggs and Loretta Lynn. Not too shabby for a boy raised in a small town from Ohio. Love you David and so proud to call you my cousin. I hope you enjoy and I’m sure he would love for you to check out his music. Just click on the link below and you can listen for free. Reverbnation page: You will need to join (free) to listen to his music. Well worth the effort. Categories: Cousins, Family, MUSIC, Music Monday, My Family | Tags: cousins, David Paul Sherman, family, Family music, Ideas, Joy, Music, music monday | Permalink.